This morning, when I got into work I was surprised to find a box from The Fruit Guys sitting on my desk. I didn’t know what it was or who sent it and since I love getting presents, before I even took off my coat the box was opened. Sweet! 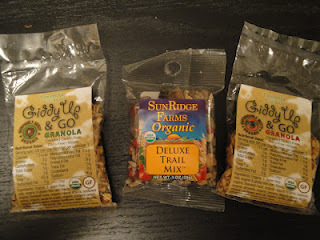 My friends Chris and Maya sent me an organic fruit and granola gift box as a thank you present, boy do they know me well! 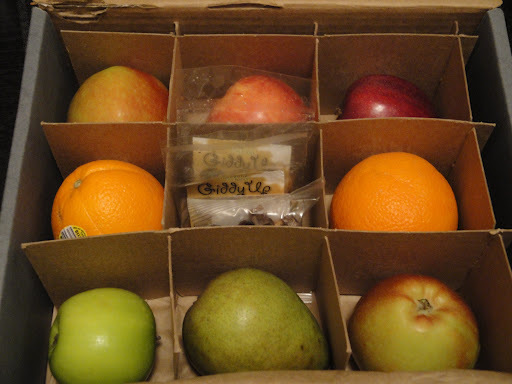 The box was filled with pears, oranges and apples and three packages of granola and trail mix, all organic. What a great gift idea! While I snacked on one of the pears, I did some research on these Fruit Guys. They were founded in 1998 to provide seasonal fruits and vegetables from local farms to the workplace, schools and at home. The idea is to make sure that employees and students have healthy fuel to remain productive during their day and the Fruit Guys take the work out of it with their convenient delivery system and local options. With their four locations across the United States you are ensured that the fruit and veggies you receive didn’t travel across the world before reaching your plate. I love that they support small family farms, offer organic options, and their packaging is made from reusable and recyclable materials. 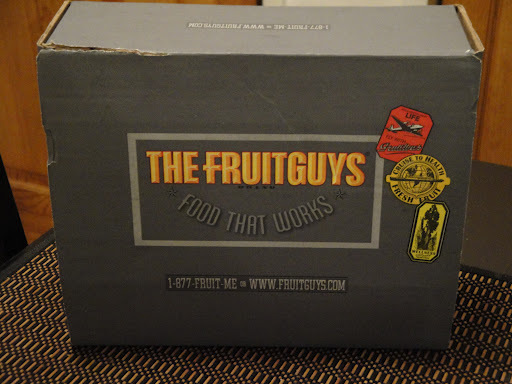 So the next time you need to send a gift or just want to brighten someone’s day with a healthy snack, check out the reasonably priced box sets at The Fruit Guys. Thanks again Chris and Maya!